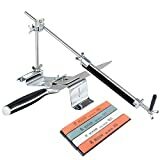 We here at Sharpen-Up obviously like to review knife sharpeners. We are here to help you choose the right one. However, there is more to owning a decent set of kitchen knives than just ensuring they are sharp when you use them. Sure this is important and actually makes point one of our top 10 list. 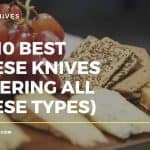 There are other issues that you need to bare in mind if you want to keep your knives in tip top condition. And lets face it – you can spend considerable sums of money on acquiring a quality knife collection for your kitchen. 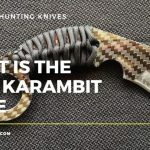 It stands to reason that you will want to keep those knives working as they should, as well as keep you and your family safe when they are being used. As we have said above, and countless times throughout the site – you should always ensure that your kitchen knives are sharp. The main reason being, if your knives are dull they can be dangerous. dull knife means you need to use more force to make the cutting or slicing action. One slip and oops there goes the tip of my finger. 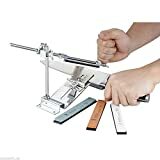 Purchase the correct knife sharpener for the job, and make sure you use what you have bought. Your fingers will thank you for it. When using a knife in the kitchen, you should make sure that you have picked up the correct type of knife from the rack. Some people spend good money on their knives only to use the first one that comes to hand when they are in the kitchen. This is ridiculous. 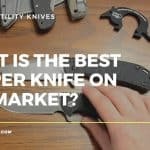 For more information on types of knives you should be using for which task, head here. As a rule of thumb small items should be cut with your paring knives. Whether you have small children or pets or not, it is bad practice to leave your knives sitting at the edge of counter tops or tables. Not only can a sharp knife be deadly in the wrong hands, you will end up with a damaged knife should it fall to the floor from such height. Likewise, safety must come first when it comes to washing your knives. Never leave them laying in a bowl of soapy water for the next person to come along and slice their fingers off when dipping their hands in there. A good tip to keep your cutting board stable when getting to work in the kitchen is to place a damp cloth beneath it. This will ensure there are no wayward chops due to the board sliding away from you. Cutting board materials such as glass and granite should only be used on the correct knives. They are very hard and will damage most knives. Your best bet is to stick to wood, bamboo or plastic cutting boards. All types of knives can be used on these with out being damaged. The positioning of the knife as you cut or slice is very important when it comes to safety and how long your knife will remain in tip top condition. When cutting or slicing the hand not holding the knife should hold the item firmly in place. 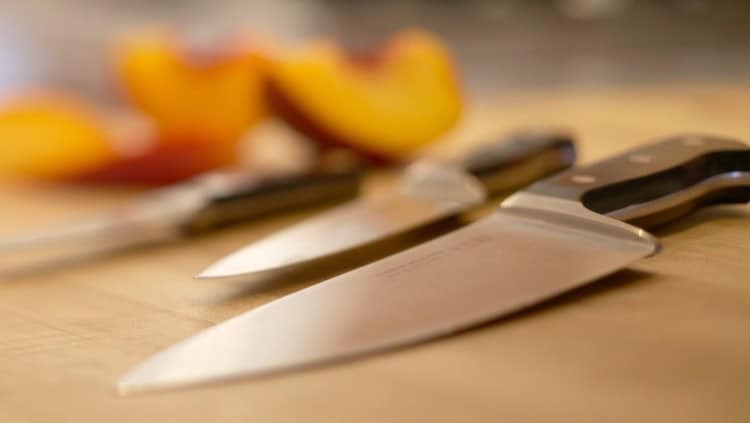 Storing your knives correctly is a vital yet often ignored aspect of keeping your knives in the best quality condition. Never just throw them in draw along with other kitchen utensils. 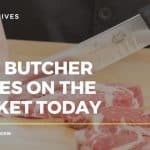 The best way to store them is via a designated knife holder, (often supplied if you purchased your knives as part of a set), a knife rack or on a magnetized metal strip. Whatever storage method you use, do not overlook cleaning the holder. Never put your expensive kitchen knives in the dishwasher. The pressure of the spraying water can make your knives rattle against each other as well as the side of the washer or the container they are held in. If you want to create chips in dents to your knife-edges – the dishwasher will surely do that for you. To clean your knives simply use a damp cloth of soapy water and wipe after use. Finally, if you do cut yourself while using a knife run your finger under cold water straight away. The cold water will help retract blood from the wound and should make the bleeding stop faster. Once it has stopped clean, dress and bandage the wound applying as much pressure as possible when you put on the Band-Aid. If the bleeding persists due to the cut being deep and long, seek medical attention as soon as you can.